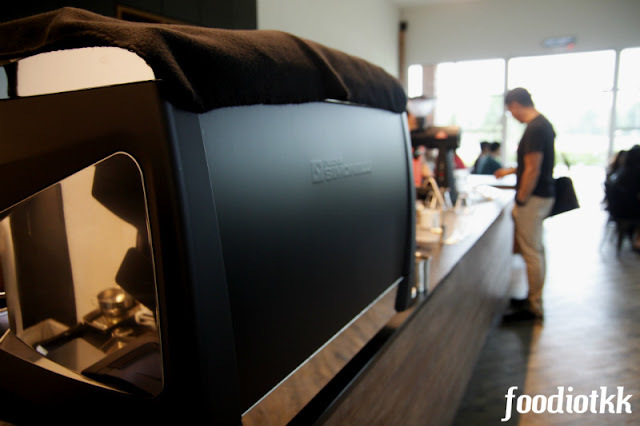 Ahmad Albab is a newly opened restaurant at Kepayan Perdana, which is located along the Jalan Lintas and near Kota Kinabalu International Airport (KKIA). Still confused with the address? Find the map at the bottom of this blog post. 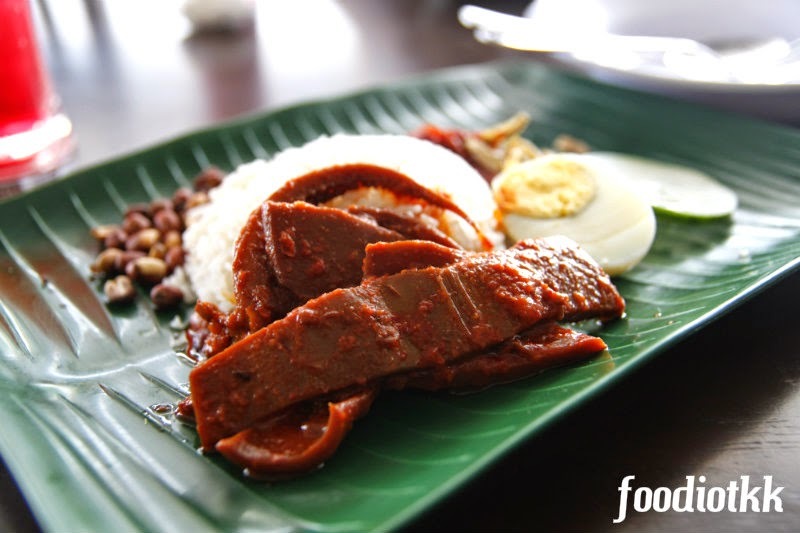 Restoran Ahmad Albab's signature food is the Nasi Lemak Kukus (Steamed Coconut Milk Simmered Rice, served with anchovies, peanut, egg and chili paste). 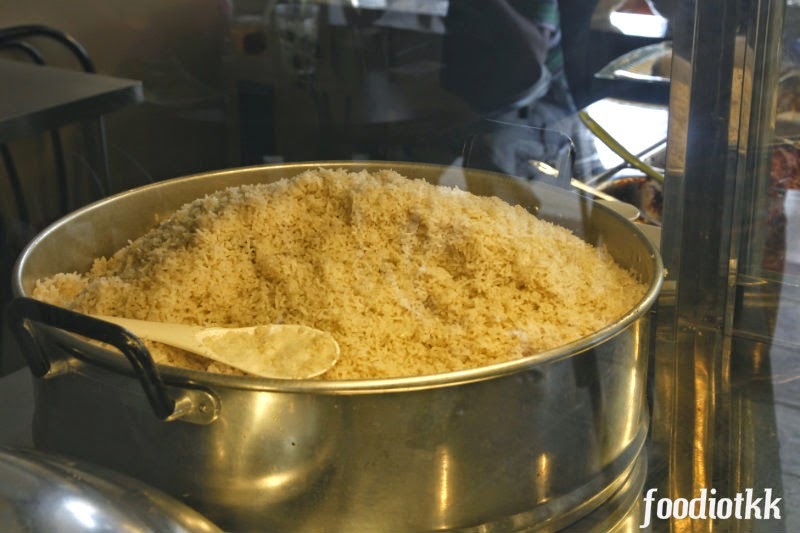 The way they prepared the coconut rice is different than the others: although not uncommon among certain states in Malaysia, they steamed the rice instead of using a rice cooker. 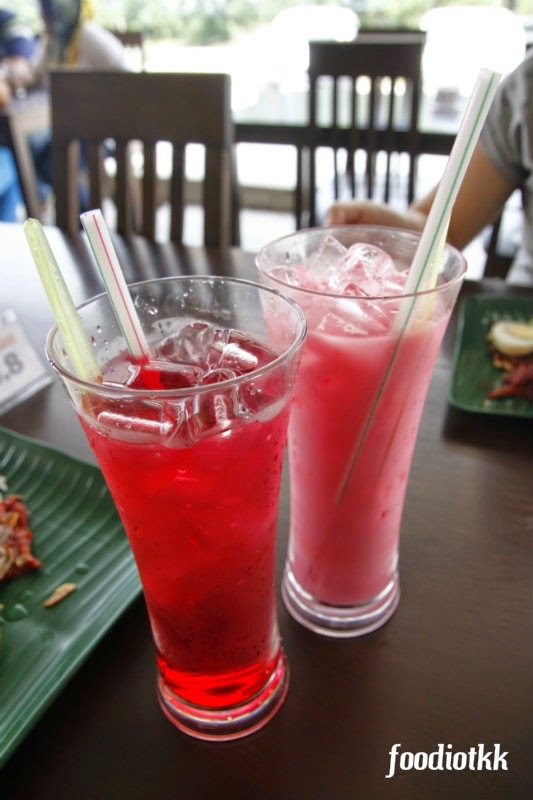 Top two factors to decide whether the nasi lemak is yummy or not are the sambal and coconut rice. 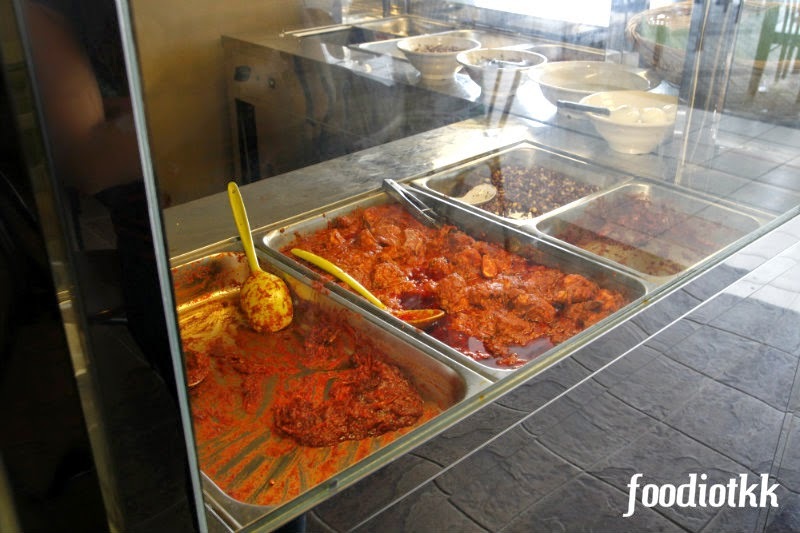 The best way of preparing rice for the nasi lemak is by steaming together with coconut milk and others ingredients such as pandan leaves, so that the rice will remained fragrant and will not turn too sticky. 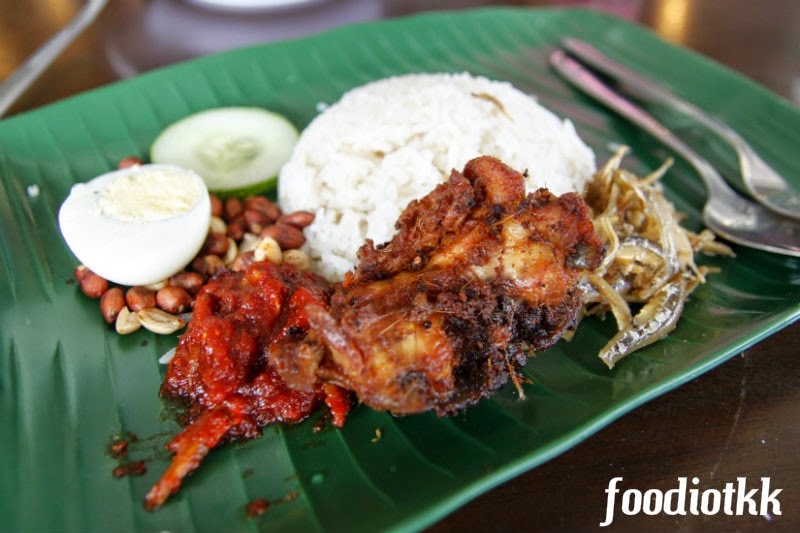 I believe that Ahmad Albab is the first restaurant in KK serving Nasi Lemak Kukus, let me know if I missed any! 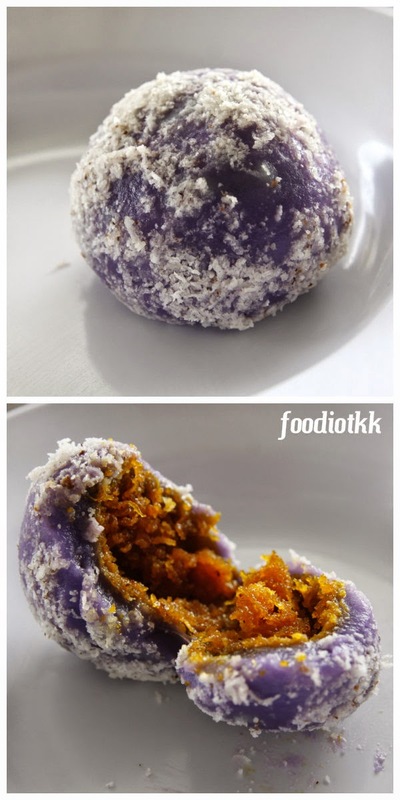 Glutinous Rice Ball (sticky rice) stuffed with palm sugar and shredded coconut, nice! The steamed coconut rice and sambal were just too wonderful! I can finish 2 plates of rice with the sambal alone! 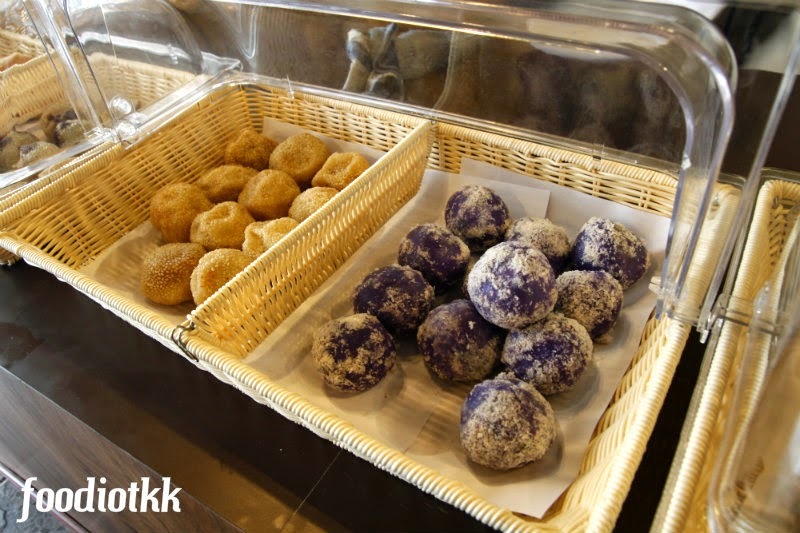 However the ikan bilis is not crunchy and a bit uncooked... Need improvement here! 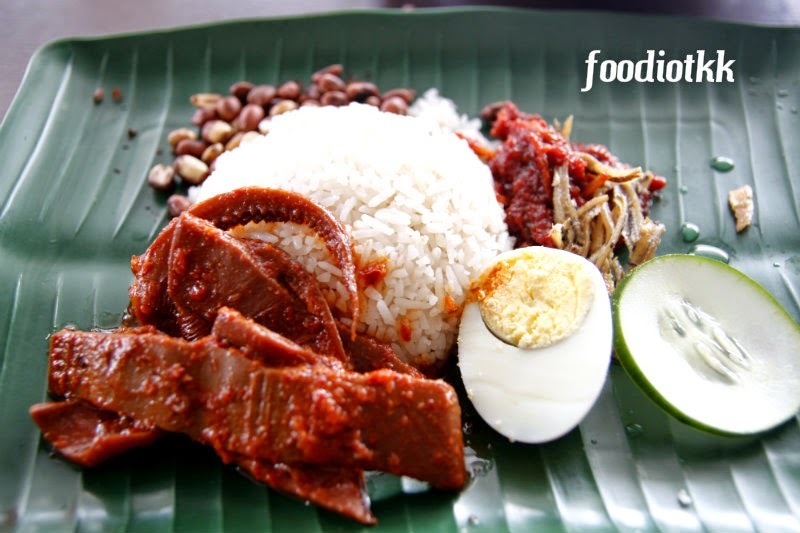 Anyway, Nasi Lemak Kukus is only available after 1pm or 2pm daily depends on the kitchen, and not all dishes available at all time! So you do need to depend on some luck here! I wish they can really improve during my next visit. 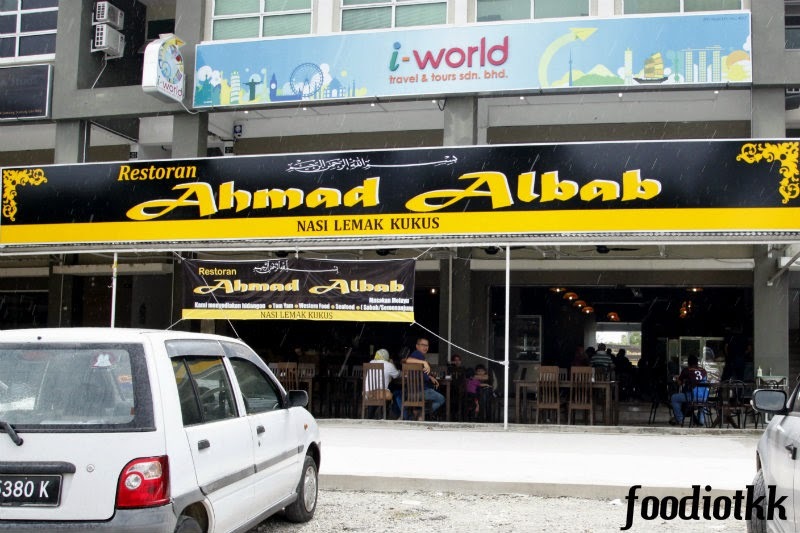 Restoran Ahmad Albab serve other Malay and Western Food as well.